Buddy, up the Gairn. Aberdeenshire. Accepted in the Local Newspaper. 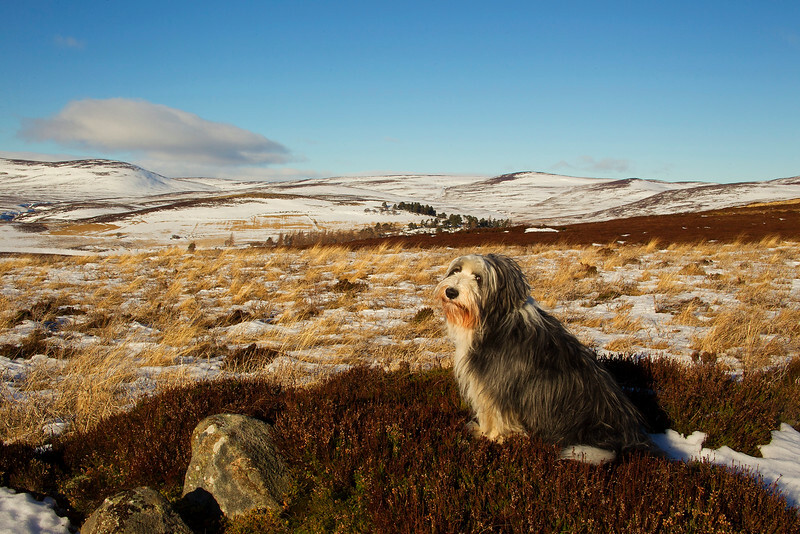 How can one possibly go wrong with a landscape such as this AND a pooch like this one, looking at the camera ? Buddy looks so much a part of this landscape scene. He is a great model too! Beautiful capture. Super shot of Buddy! Is he a bearded collie? Buddy seems to approve of your choice of view. I do too. Outstanding capture of this incredibly beautiful scenery! And I do love your Buddy, what an adorable face he has!